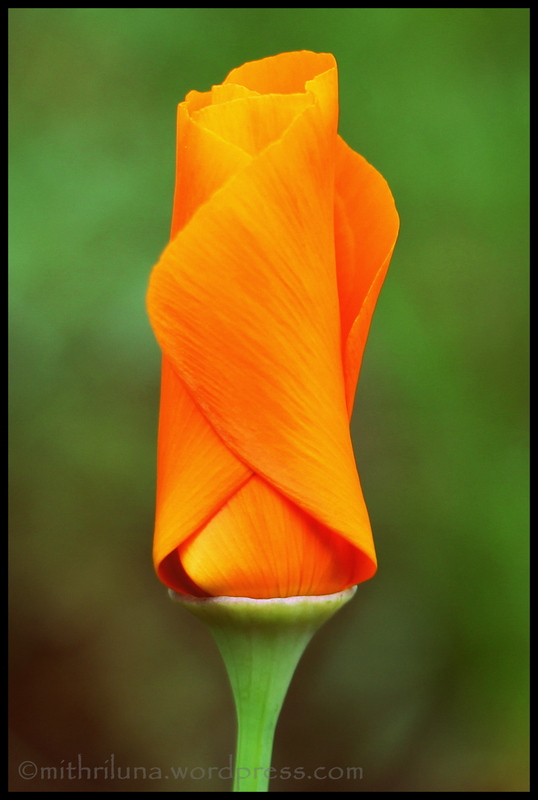 I love California Poppies. Not only are they beautifully unique and have a delicious orangy color, they remind me of my childhood. I was born in California. Every year in early spring, fields, gardens, and even empty lots, would be bedecked in gorgeous orange blankets of poppies. I distinctly remember how I loved these delicate flowers when I was a little girl. I moved away from my beloved flower when I was twelve. In February, my wonderful green-thumbed husband bought me a packet of California Poppy seeds, shipped right from the Golden State to the Garden State. When I see these beauties in my garden, it delights my heart. I am reminded of the brightness of sunshine and the enchantment of a golden sunset. And I am once again, a happy and contented little girl experiencing sheer pleasure as I behold these radiant treasures. Thank you for the video tip! I actually did not use all the seeds this season but I will keep it in mind! I think Poppies are a beautiful flower. This is a great color. Beautiful bright yellow poppy. I have seen only the red ones which are the symbol of All souls day in November. Thanks for sharing.. Yes, these poppies are native to California and states surrounding it. Thank you and thanks for stopping by! Great photo! They are such an amazing shade of orange, aren’t they? I’m glad you’re able to grow them! Thank you! Yes, love the orange. Haha! I wish I could! Unfortunately, blogging causes me to stay up too late (like now)! Thank you for visiting and commenting! This is a beautiful photograph…absolutely stunning! Thank you so much! Thank you for visiting my blog!